This page is a collection of useful tips and resources for current residents. Please contact info@stanneshill.org if you have additional content or questions. Basic historic district style and construction standards are contained in the Dayton Blueprint for Rehabilitation -aka- “blue book”. 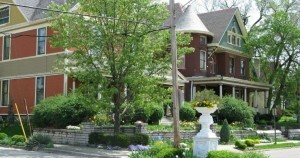 Major modifications or demolition to buildings in historic districts must be coordinated through the Dayton Planning Division and Landmarks Commision. Preservation Dayton for some additional help, hints, and resources. City ordinance requires cans to be set 10′ back from the public right away or within a trash enclosure. The neighborhood group email guidelines can be found here.